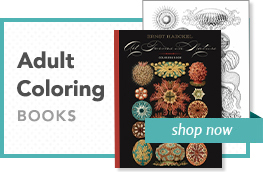 Intricate Ink is a registered trademark of Pomegranate Communications, Inc.
From sea turtle to swallowtail butterfly, great gray owl to green tree python, each animal drawing by Tim Jeffs (American, b. 1965) is a study in pattern and texture. 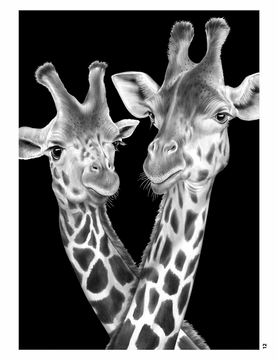 By day a creative director in publishing, Jeffs began experimenting with animal art during his free time. As his sketchbook filled with complex illustrations of creatures large and small, he realized he had found a powerful art form. Once he decides upon a subject, a thirty-plus-hour process unfolds. Jeffs first researches the animal’s habits, habitats, conservation status, and physical appearance. Using pen and ink and colored pencils, he channels his findings and artistic passion into creating an animal portrait on Bristol board. “Then,” the artist says, “I cover the subject with a styled pattern of my own creation. It’s almost like creating a mosaic of lines, shapes, or colors—not so much photorealism but more of an impressionistic approach that creates a realistic view.” It’s the alchemy of science and creative license. 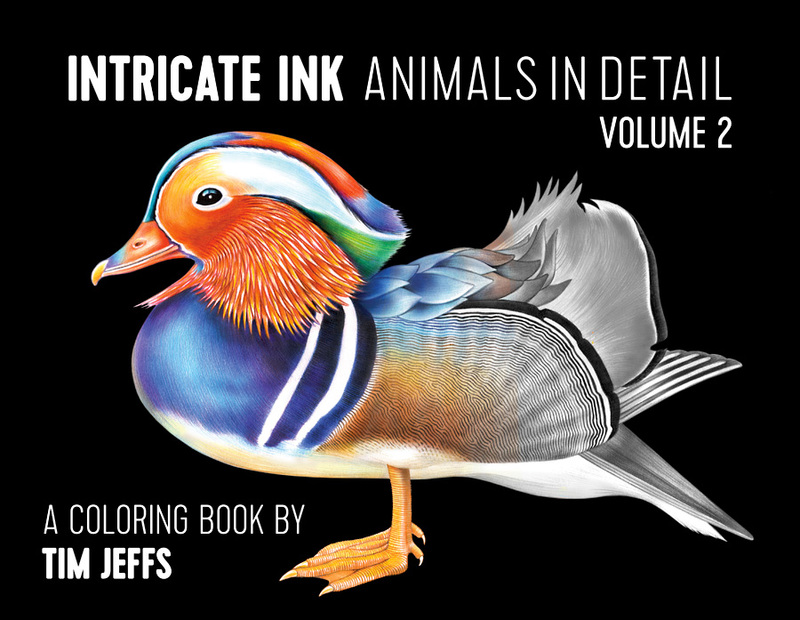 With this second volume of Intricate Ink: Animals in Detail, Jeffs fuels his drive to create collaboration between himself—an artist with a lifelong love of animals—and colorists around the world. 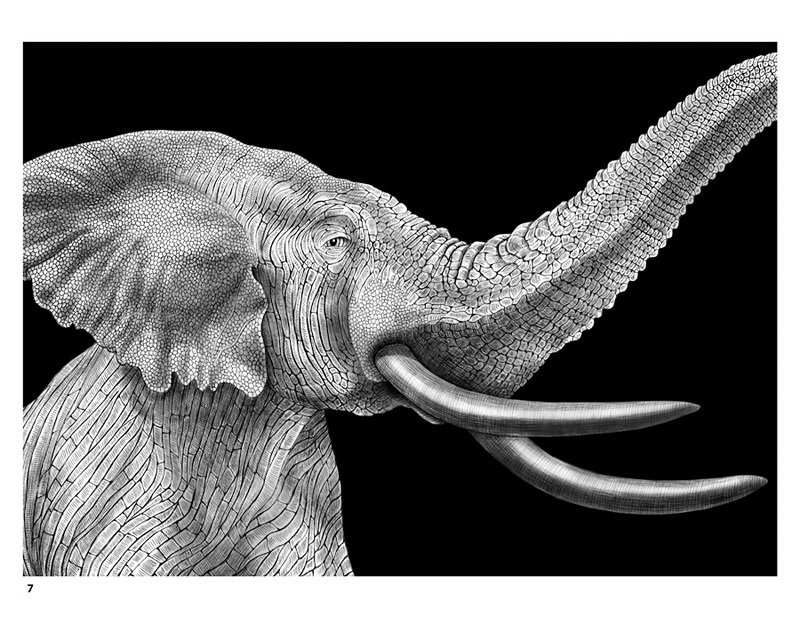 In addition to providing creative fulfillment, his highly detailed illustrations have garnered worldwide attention as they raise awareness of and connection with the animal kingdom. Enjoy coloring these animal portraits, creating beautiful pieces of art. The delight is in the details!